Everyone knows someone affected by cancer. Even Superman. But maybe he can do something about it. Writer/artist Stephen Sonneveld has released Superman vs. Cancer, a 70-page webcomic where the Man of Steel goes to any length to finally stop this pervasive and all too common disease. Obviously this is not an official DC Comics release. Described as “for portfolio purposes only,” Superman vs. Cancer is clearly not pretending to be canon, but its use of not only Superman’s mythology and the larger DC Universe contributes to a story that is emotionally resonant and affecting, even disarming. 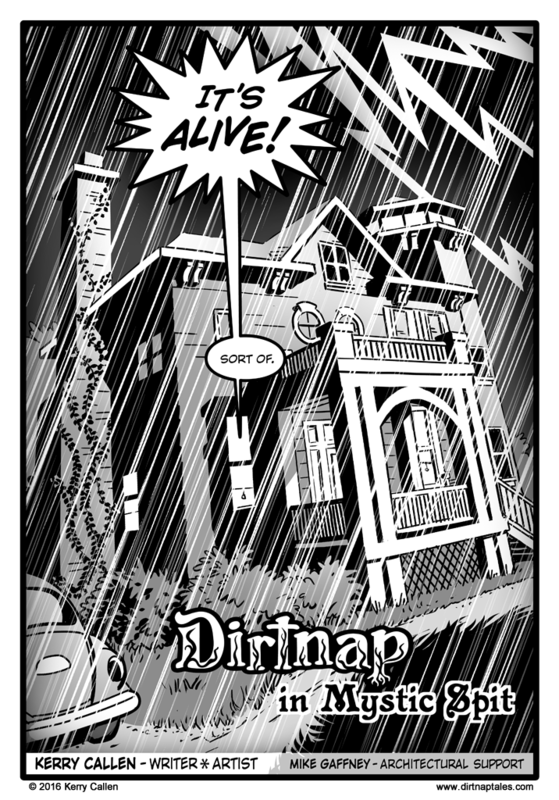 Halo and Sprocket creator Kerry Callen has launched a new webcomic, Dirt Nap, an “adventurous romp starring old-school, iconic monsters, but with un-iconic twists.” He plans to post new pages twice a week. “It’s a story of monsters, tragedy, adventure and humor,” Callen wrote on his blog. 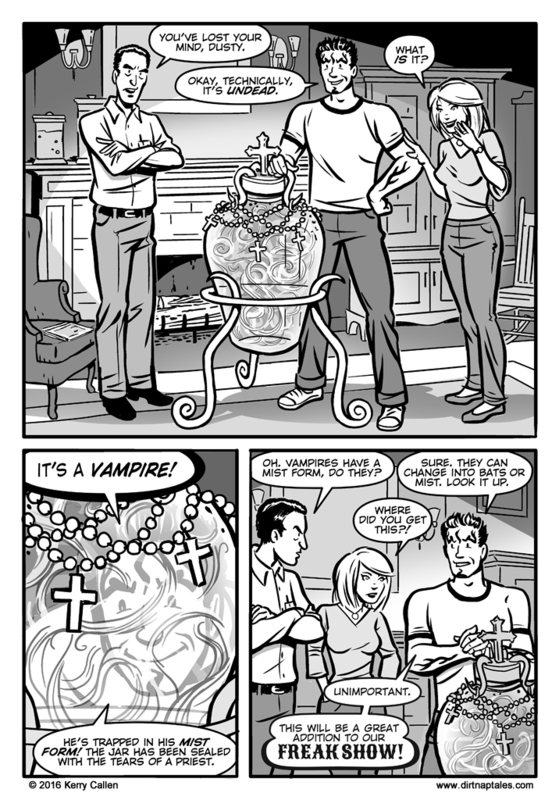 “It will run approximately 160 pages and along the way we’ll encounter vampires, zombies, ghosts, werewolves, and maybe even a mermaid or two.” It sounds like he’s more than halfway finished with it as well, as he states he’s completed over 100 pages thus far. Check out two of them below. You can start reading Peep here. 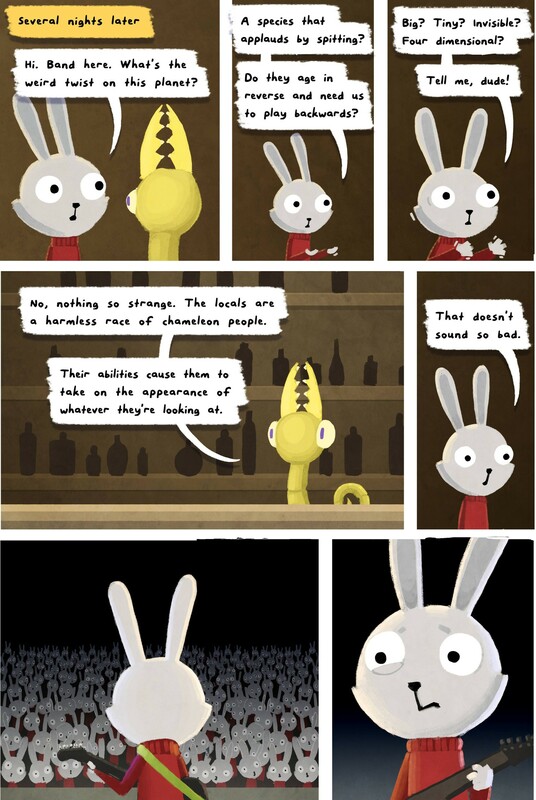 Driscoll’s previous strip, Daisy Owl, ended in 2010, but is still in our hearts.